Team Curran’s Vince Wadman ran his record to 6-1 with an impressive win over JR Roberts. 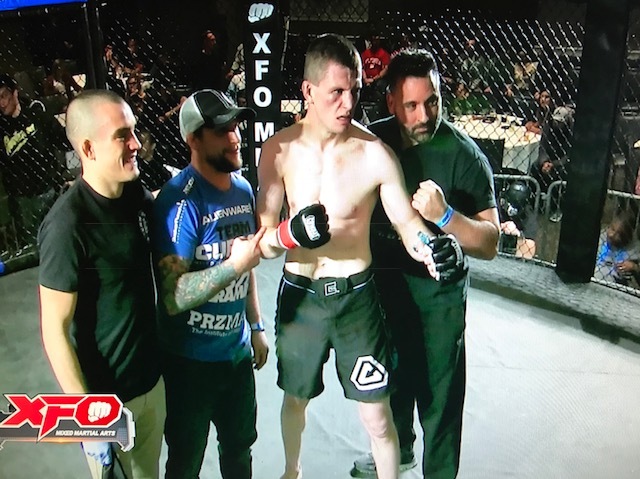 Results from XFO Rocktown Showdown 31 from Giovanni’s in Rockford, IL, November 25, 2017. Jose Leon def. Alejandro Moyano via unanimous decision, 48 x 47 on all three cards. Leon retains the XFO Rocktown Showdown Bantamweight Title. Next Story → WWE and Virtual Reality – What’s the Connection?